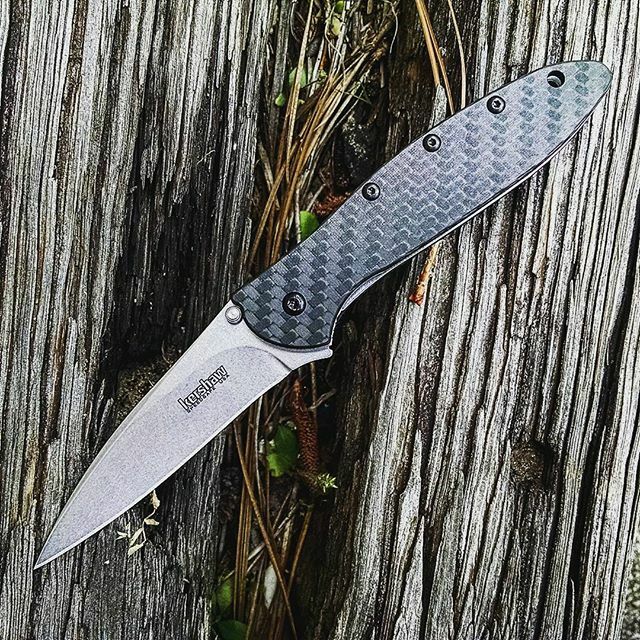 This is the Kershaw Carbon Fiber Leek, model 1660CF. It is a Leek on steroids because it has all of the classic feel and performance of a Leek but with some of the highest quality upgrades you could ask for. Carbon fiber on the handle and stonewash finish on the blade. The blade is made of CPM154 steel in the USA and measures three inches. CPM154 is a hard steel that has great edge retention. 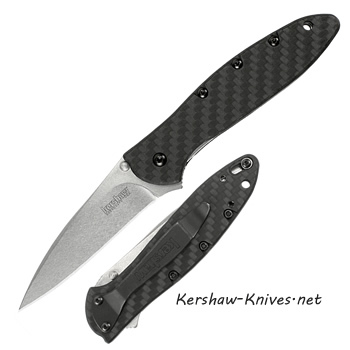 The opening action is the assisted opening Ken Onion design, deemed Speedsafe by Kershaw. The handle is four inches, all black and smooth. like you would expect of carbon fiber. The pocket clip is black to match the carbon fiber. The locking mechanism on the Carbon Fiber Leek knife is a liner lock.